In Christianity, exorcism is the practice of casting out demons. In Christian practice the person performing the exorcism, known as an exorcist, is often a member of the Christian Church or an individual thought to be graced with special powers or skills. 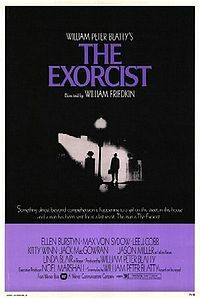 The exorcist may use prayers and religious material, such as set formulas, gestures, symbols, icons, amulets, etc. The exorcist often invokes God, Jesus and or several different angels and archangels to intervene with the exorcism. Christian exorcists most commonly believe the authority given to them by the Father, Son, and Holy Spirit (the Trinity) is the source of their ability to cast out demons. In general, people considered to be possessed are not regarded as evil in themselves, nor wholly responsible for their actions, because possession is considered to be unwilling manipulation by a demon resulting in harm to self or others. Therefore, practitioners regard exorcism as more of a cure than a punishment. The mainstream rituals usually take this into account, making sure that there is no violence to the possessed, only that they be tied down if there is potential for violence.